The latest box from Ohh Deer’s Papergang arrived on my doorstep a few days ago and you know what that means - it’s time for another unboxing! April’s box was created in collaboration with Arden Rose and it is a stunner. In case you didn't know, Arden Rose is a beauty and lifestyle YouTuber with over a million subscribers, just as many Instagram followers, her own book called Almost Adulting and - judging by this collection - impeccable taste. April’s box included an A5 notepad, a weekly planner, 2 greetings cards, a pencil, a risograph calendar print and sheet of stickers all designed by the team at Ohh Deer under the watchful eye of Arden. For those that are interested, the box’s contents was worth (according to my sometime questionable mental maths skills) £21.40 and cost just £9.95 to subscribers. There was a little note included in the box in which Arden explains what vibe she wanted for her special box. In short, she wanted it to be Summery, warm and kitsch and the Ohh Deer team get top marks from me on all 3 counts: the gorgeous colour palette of warm yellow, hot peach and tropical green bring the Summer fun, the lush floral patterns add some gothic warmth and the adorable doodles (courtesy of illustrator and junior designer at Ohh Deer Amy Lesko) provide a touch of kitsch. There’s so much I love about this month’s box! For starter, I like that Ohh Deer has released a Summer inspired range without any design clichés. There isn't an overly smiley sunshines or repetitive pineapple in sight and the collection is all the better and more unique for it. Plus each item is something I will actually use. With subscriptions like these, part of the challenge for the creators is to make sure subscribers don't get bored but Ohh Deer never fail to include something a little different. My desk has been calling out for a new notepad for everyday lists and doodles and you can never have too many greeting cards! 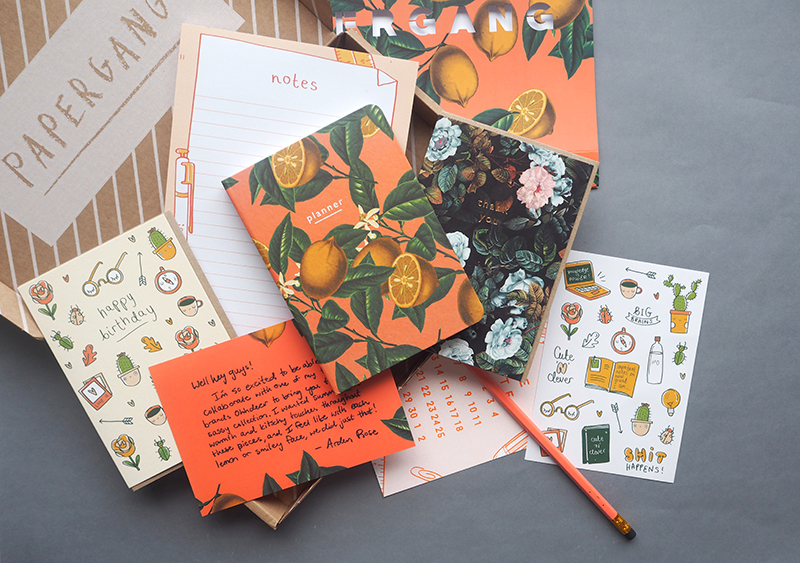 Most of the contents of Papergang boxes is always added to the website before long but this time Ohh Deer has launched an entire Arden Rose collection including everything in April’s box and lots more stationery goodness. Like the box's contents, the collection as a whole is split into two halves - one covered in vintage blooms and the other in quirky illustrations. I’m super impressed by how they design team at Ohh Deer have managed to use such different motifs to create a collection that still feels coherent and filled with a very specific personality (that of Arden Rose). 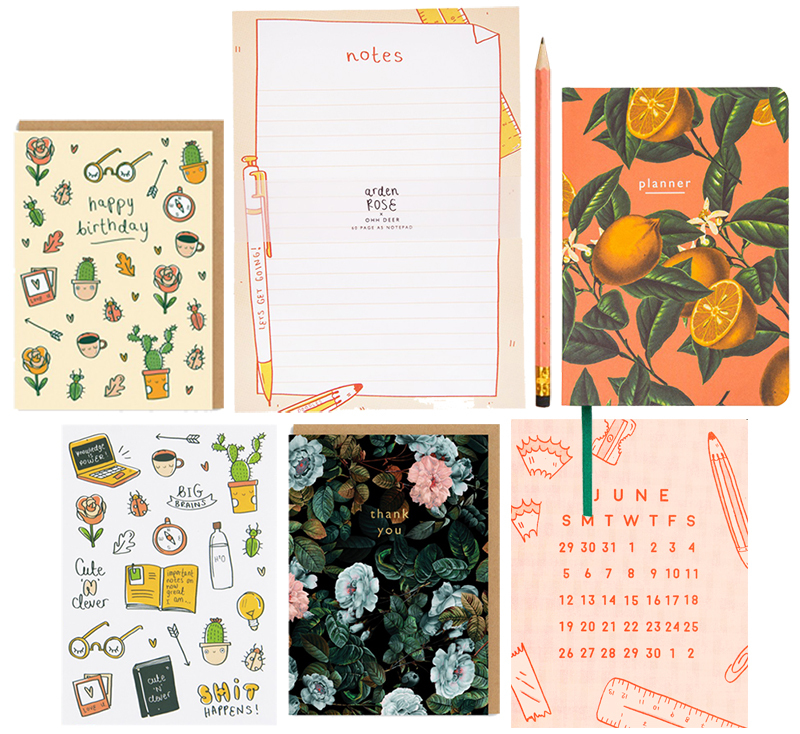 Whether you are looking for cactus stickers or a planner covered in lemons, this collection has something for everyone and I can’t wait to use it for all my summer scheming! Shop the Arden Rose collection here and sign up to the Papergang here. Disclaimer: I was kindly gifted this box by Ohh Deer but all of the stationery enthusiasm is 100% my own.